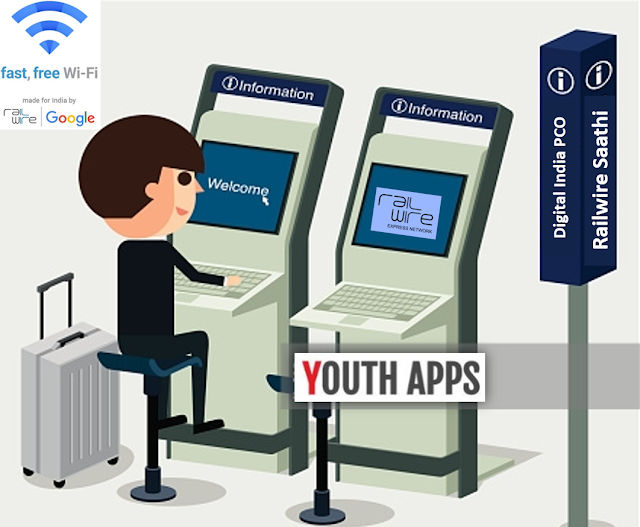 Railwire Saathi or Digital PCO / Digital India PCO will be implemented in 500 Railway stations on an entrepreneurship model where youths will be trained to set up a Wi-Fi hotspot or Digital Kiosk for providing platform online services. The Kiosks would be set-up in remote railway stations, in those cities where Internet connectivity has not properly reached. RailTel will execute the scheme across the country and this scheme will help the unemployed youths, especially women to work and earn their livelihood. National Skill Development Council (NSDC) will be providing the required training and once the training is completed, the youth/woman will get a certificate which can be used to get a loan under the Mudra scheme. The Vision of Railways through the new scheme is to provide world-class high-speed public WiFi network at all remote stations across the nation.